What is commerce? Do you know? In very simple words, “Commerce is a branch of any business which covers the economical part of the legal, social, political, technological and cultural system”. Commerce courses are the choice of a big community of the students. The students, who wish to work in a corporate world, usually select the commerce field in their education and wish to appear for CAT 2019, XAT 2019 and MAT 2019. Commerce count the all activities those are involved in the exchange of goods and services considered to the money, between the person and companies. Get Latest Career Notification about courses after 12th Commerce, by entering your details below. You have had some queries regarding commerce education. If you really want to choose the commerce field as your dream career, you should prepare just after the completion of your 10th standard education. sir i m vry much confused regarding my career after 12th i dont knw what to do and unable to decide my choice… i request you to guide me and provide me a perfect path… i will feel obliged if you help me……. See in which field you are interested, see where and what position you want to see yourself after three years. There are ample career opportunities for youngsters to excel their careers. If you looking for some professional job oriented course like BCA, CA, CS then you to making your routine and work hard accordfingly. If you want to go for job in govt./banking sector. Then you can do plain B.com and side by side prepare for the competitive exams like IBPS, CDS, SSC, and other state govt exams. Hello there! Sir I’m currently studying in class 12 and I have opted for commerce (Accountancy,economics,Business Studies, informatics practices) n I’m good in Economics and business studies please suggest me some career based on these 2 subjects. You can go for chartered Accountancy course, Company secretary BBM etc. Both have the best scope. but if i would be there at your palce, i would chose the CA. presently i am doing 11 in science can i change to commerce in 12.
sir i m presently doing 11 in science,can i change to commerce in 12 as i am not able to cope up with science as i m feeling it very tough.pl. suggest i am bit confused. Yes, right now you have a chance to switch your stream. if you feel that is tough, you may switch. sir plz tell me what can i prepare aftr 12th except c.a…. CS, B.Com, BMS or BBA. hello sir I want my career in banking field,would u help me to know different option available plzz sir . I have commerce with maths and I am in 12th right now. complete your graduation and sit for IBPS exam. you can find more information over here. Hello SIR! I Want to ask dat if i wish to do cs, den which is the best institute or college (whatever it is) in Delhi???? good evening sir, i’m a student of class 10.
i want to know whether there are more job opportunities in commerce with maths or in commerce without maths. or rather, what is the difference between the two? Math has the more opportunities. Math is every where in our daily and professional life. many chapters of commerce also comprises in math. I am in 12th right now with comm. and want my career in banking field. Plz can u tell me a good career option which would help me in bank. Either you can do the B.Com hons. or go to the BBA after which you can do the MBA in accounts or finance. plz sir suggest me some exams to get entry in banking sector both after 12 as well as graduation . If you have interest in any other field then go for it. because i think you are not so interested in commerce. Click on the link for chartered accountant. either B.Com + CA or BMS + MFA. Estimate of fees related to tourism management?? sir I want 2 become CA but problem is I don’t have maths plz tell me that is this possible to become CA without maths? Sir, what are the careers in BMS and MFA? this field has a better scope in commerce. finance is one of the growing career field these days. SIR I HAVE just pass 10 th by GEN.MATHEMATICS after my 12th commerce can i take diploma ??? how may I go to choose r.t.o field ??????? Sir, I m in 12th..n I have commerce with maths. I m interested in accounts and maths. So I decided to do CA after 12th, but everyone tells me to do B.com or banking. I m very confused, what to do after 12th…CA…B.com..or…Banking. Please suggest me right option? CA is a good career option after 12th, If you’re interested in CA you can prepare for the examinations and appear for the CA test, but side by side you can also pursue B.Com. Have a nice day . I am in 11th standard & i have commerce + computer. I have to do Export in future so please tell me which courses should i do after 12th standard .. Waiting for your kind response ASAP. Hello, Faisal.. There are many courses that you can pursue to go in this field like diploma courses, MBA in Logistics, PG diploma etc. Pick a field of your interest. Do not follow what the others say or follow. You can go for animation courses. Ofcourse Nidhi, law is almost good for the girls and in my opinion law must be chosen by the girls in today’s scenerio. Be a good law professional and carry the girls status higher. better if you join any coaching for that. Sir, I’m now 23years and have completed 12th commerce(50%) on 2010. Now I want to do BBS. I live in Kolkata, can any one suggest me (on [email protected]) that which institute (in Kolkata) allow me for BBS in this age(23). Please provide distance, correspondence and regular- these three modes. besides math what you have in 12th. Do the B.Com (Hons) or CA or CS or any diploma in accounts and finance. Hello in mba how much salary can i get? depends your caliber, your grade, your institution and the company. minimum is 15K and maximum is 30-40K for fresher. sir I have planned to do bca after my class 12.my stream is commerce with multimedia.so can u tell what is the minimum percentage needed to apply for bca. and some good colleges in india mainly in delhi. and I saw dualdegree courses which includes bca+mca is it good? I am in 11th right now. I have taken commerce with maths. I dont know what to do after 12th. Everybody tells me to do law or CA. Any other suggestions? and which is a better option CA or law? Both are professional job oriented courses, and have got huge opportunities ahead..to learn more about these you can check below articles. The full form of SSC is Staff Selection Commission. The government recruits the Group C employee in the all official department through the SSC exam. There are two types of SSC exams; one is on the basis of High school (for group C level) and other is SSC on graduation basis (group B level). It is as national level exam. Sir, my dream is to travel the world can you tell me a good career option which would help me live my dream and also fetch some money. Yes, this is tourism management. you may also check here. No, it is not mandatory to have maths in class 12th for pursuing CA course, Maths is mainly required in the CPT exam, and you can take tuition for clearing your basic concepts in Maths. sir i want to do event management. Please click on the link for event management. can you list the colleges and universities offering the event management course. CA or CS or BMS will be OK for you. sir, i am a 12th commerce student, i like to do CA, what will be its scope in next 5 year. will it increase or decrease? Hey Nizam, click on the link for chartered accountant. sir i want to go in management line and want to make career in management only so what should i do after 12th…?? Simple go for BBA or BMS. and sir what is the difference between bba and bms….??? BBA is just a bachelor degree in business admin and strategy it covers all fundamental aspects to set and grow the business whether BMS is more potential to economics, commerce and finance. Hello sir…i just read this article above. I have read this many times tht MBA is nt the ri8 optn these days n comng future. I am really confused. And moreover which course shud i opt for aftr 12 bcom or bcom hons? Waiting for ur reply. CS or CA. these courses are in trend now and very good options for the better future. Sir i want to go in banking sector after graduation what should i do . How much time the course will take? Either B.Com (Hons) or BMS or B.Com in banking & finance. B.Tech in Computer science and technology is one of the best and suitable field for you. get prepare for the JEE main and bag the admission. You can check the article named MBA and BBA by click on the name here. and as a commerce student I go for b.com(hons) or economics(hons). I am in 12th. ICWA – Institute of Cost and Works Accountants of India – An Indian professional chartered accounting body. ACCA – Association of Chartered Certified Accountants – A global professional chartered accounting body. See, economics is a specialization but B.Com (hons) is comparative less specialized than the Eco. (hons). If your aim is to get the career in Economics only then go for Eco. (hons) otherwise B.Com (hons) is the best. Is b.com(hons.) has a bulky syllabus or difficult to cover.& Eco(hons.) consider as graduation. plz give me the details of ICWA & ACCA and scope or u may send email on my ID provided. after 12th you may apply for CA course. It will take the five years duration to complete. besides this you may get the practice with anyone working CA as an internship. May be that you will be salaried by him. If any miss-happning occurs with you IAS dream then you would not loose your passion. You may prepare for the PSC, SSC, UPSC and many other. but keep you study continue. Sir. i am in 11th right now nd i want to become CA bt some people told me to do IIM nd I am intrested in accounts .so which should b better for me . If you r interested in accounts then CA will be the best for you. Sir i want to be a cost accountant or chartered accountant.can i study on of this after my high secondary from private. better you chose the BBA first. There are many UG courses like CA, CS, BMS etc. Sir I m a student of 11th commerce and want to make career in management…Also i want to start up my own company …so which course should I opt after 12 th…? Management is the right choice of you. besides the management you may get the CA also. then you may have your own business of CA. otherwise you can establish your company in the field of that discipline which you have chosen in management. i wish to take coomerce in 12th. so sugest me which 5subject i choose. and if i got less than the cut off or srcc then what to do. Don’t worry, just focus on your studies first, choose those subjects in which you are good and study according to a routine. You can also take help regarding the same from your teachers. sir , now i am studying in +2 . i want to become a manager of a reputed firm . Is BBA/BBM is good for my aim ? Is any good scope for BBA/BBM ? Can i choose this course for my further study ??? please give answer to me …. Yes, BBA and BBM are the entry level courses in the management field. But after completing your graduation, you must look for MBA program from a reputed institution for getting a managerial post in a reputed firm. Sir,i m in 12th class with commerce.so what can i after complete it…..plzzz help me i m so much confussed…. Choose the B.Com or B.Com (hons) or BBA or CS or CA or BMS or other. now it is up to your interest. I m in 12 th n i have commerce with maths… I m very confused about what i should do after 12th… Can u suggest me what courses are good? Sir m in standard 12th nd m from raipur chattisghar..
you can choose the courses from the above mentioned list. Yes, it is good for you. I want to take commerce as my dream field..can you tell me the course in which I can get at least 100000 & up salary..? We have already listed the top courses in the field of commerce, the high paying courses in this field are CA, CS, MBA etc. good afternoon sir i am studying +2 commerce i am planning to do bba after my +2 can u suggest nice bba colleges in kerala ? ICWA has a good prospectus in order to career. but if you had done that from abroad then you should get an another one named ACCA. It is valid worldwide. you may work in any part of the world. Either you may also get the CA which is more sought than the others. CS is also an option but in my opinion CA or ACCA will be best for you. No need to have math in 10th for doing commerce in 12th. the field is good but you must have to select the best combination of subjects. and do not forgot to take banking and finance in future. if you wish to become the CA then go for the CA course after 12th. if you wish to continue your degree choose the commerce stream. B.Sc. (IT) has a good scope, and there are ample job opportunities in this field, After completing the course you can do M.Sc or look for job in IT sector. B.Sc. IT has a good career scope…and you will definitely have good job opportunities ahead. Hlo sir……m 12th bords are a head but m cnfus wat to go 4 in future ..m widout mths n optnd phy edu ……. We have already listed many courses related to commerce field, you can explore them one by one and go for the best course as per you interest. I had took sub as commerce physical what courses I can do after 12??? sir, I want to continue my further studies with economics.Is their any opportunities are available related to this subject? and also I want know about scholarships. you need to choose the subjects as per your interest and your gripped subjects. Sir, how much will be the admission fees for CA….? If you are a graduate/postgraduate with 55% or 60% marks then the registration fees for both courses is 9000. if you are intermediate pass student then the registration fees for both courses is 9000. Keep in touch with us we will shortly provide a compete article on CA preparation tips and fees structure. Sir ur article was a grt help …i m student of class 12th…..my subjects are accounts,eco,commerce,hindi,eng……i m frm a middle class family…kindly tell me abt bba,b.com,bms and wat r the basic difference between these courses…and how much % shud i get in my boards for a good collgs…. Thanks for the appreciation… We have already mentioned the details regarding all those courses that you have mentioned.. good luck for your future. Sir plzz tell me abt the top bba collgs and their fee structure…. you may also check the fee criteria of particular college by visiting their official websites. The admission process is different 4 different colleges as per your desired courses. Some conduct admission through national level exam and some through their own entrance exam. Sir m doing b.com right now…pls tell me some courses what should i do….m very confused about it..
you may go for the CA, CS, BMS, MBA, MBM or MFM. Any course in economic oriented & commerce. economics is the mother subject of commerce. CS includes all these. I am very uncertain about my future right now and I need a professional to answer a million questions in my mind. If you could kindly revert back please? I’ll be highly indebted. We are here to pay the attention to your all queries, you can ask us any time. we will feel great to make your satisfaction. Sir,I want to persue my higher studies in abroad in commerce field,but sir I want to choose that course which is valid in India also and in Abroad also….Sir can u help me. after commerce you may get the admission to CA, CS, MBA (finance & accounts), MFM etc. all are valid across the countries. only in case of CA you need to have a license by the country which you would have opted to serve. both fields are good, but first you should check your interest, the starting salary could be between 18000 to 25000. Sir I don’t know what to do after 12th. I’m totally confused. I don’t want to become a CA or bcom hons . Can u please suggest some other good courses? We have already listed some of the top courses in the commerce stream after 12th…you have to first realize in which field you are interested and then choose the best course as per your interest and future career scope. Respected sir my son has not cleared cpt exam but he want to do only ca. what I should do should I give him a more chance or not? yes he deserved another chance, but he should worked hard and focus on CPT. A very good evening to you as well..yes you can pursue other course(s) with B.com….you can prepare for various other examination like CA, CS or computer and animation courses, this will enhance your chances of getting a better job after the completion of the course. sir please give me full form of rrps? yes u can go for any course either cs or ca as per your need but u have to fight first entrance exam of it. you better do the MBA Arun. Sir,I have to become a locopilot so, how can I do my preparations & what subject I should take & study. You must be minimum 10th passed and you should have done ITI from a recognized institute. The candidates having diploma or degree in electrical or Mechanical can also apply for the exam. The railway department also notifies the the recruitment of Locopilot every year. BBA is a bachelor degree in business administration and it is offered by the AICTE approved college. I’m in 12th right now and I want to further study in English what should I opt? Simran me need of your help…,i had juzt completed my 12th bt m very confused what to do…? The other courses for you are MBA, CS etc. Both fields are some else related to. You can do the MBA in banking and finance then you will find that your both dreams came true. Sir, I have jst passed my board exam nd i’m cnfused whether to take science or commerce. 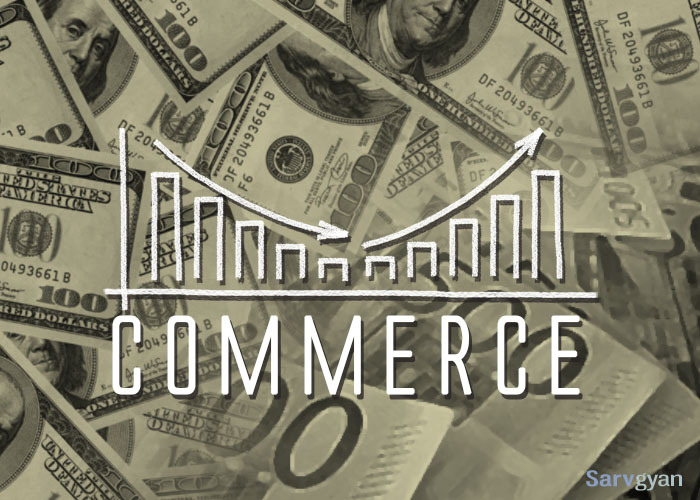 If commerce then further what to do…. Sir plz reply fast.. I’m waiting..
first you decided that in what stream you are much strong than the other one. if you are choosing science then choose math group for good future otherwise you may pick the commerce group and after that you can get the career in CA, MFA, MBA in finance or CS or banking. i am appearing for my bba entrance tests ..i have written the symbiosis entrance test and i will be appearing for the NM TEST as well is there a way other than the entrance like if i dont get in? some universities also admit students on the basis of board percentage. Sir i want to become CA so how much i have to study, so that i can get succeeded in my aim. if you wish to become a successful CA, you need to study and work hark. you need to read our article on CA. we have given all details regarding CA in that article. How can i become a C.A plzz tell me i just passed class 10th and now choosing commerce for becoming a C.A …. How can i prepare for c.a. side by side…i m in 11th class…but i m confused how can i prepared for c.a. you can start your preparation now, you can join any good coaching institute for your preparation. Sir, but C.A. is too difficult I had heard. For that you have to click here Chartered Accountant. Now, I m in 11th class in moradabad(UP)..So after 12th what should i do for CA. Frst do 12 th then do cpt . its just lyk an entrance . then u can do further . you cannot start for CA just after your ssc, firstly you have to choose commerce in your higher secondary and then after clearing your basics in 12th knowing the meanings of debit and credit and their usage and also after securing a good CGP you can easily go for CA. Right now I am in class 10 and I want to take commerce and to do C.A. but if I won’t succeed in C.A. then what should I do. My second option is for “Data Analytics” but as your arcticle its salary is so low. So please advice me what to do ????? CA is a one of the best career option for the Commerce students, Salary is not a problem for a deserving candidate, if you’re skilled then you will have good salary in any field. AM opting for commerce now but the big concern of mine is MBA or B.COM? [email protected] pls i have need ur guidance. click on the link for CA courses. After 12th in commerce field there are many options like Management, chartered accountant, company secretary, banking, human resources etc. Here we have listed all sorts of career options for the commerce students, you can ask your query if you’ve doubt regarding any of them. depending upon your age and qualification, have you completed your graduation? I am a avrg 12th student. Which cource i hav to o? i wnt a salary of atleast 40000 per month …………. Raja go for it without second thoughts!. It depends upon you, how you pursue it, its simple if u want it to be. Raja go for it without second thoughts!. It depends upon you, how you pursue it. What is the Syllabus for C.A Plz tell me dddd. I am in 11th class with commerce stream . Firstly i don’t take maths i was in i.p but later i think that there is no commerce without maths(really??) so now i take maths but i am worried that if i not get goods marks in maths i can’t do CA . Please solve my problem. and for IPCC you have to give at least 1800 hrs…on Study…after that you hace to revise these things 2 to 3 times…. So firstly pass out these exam …..
you may go for Hotel management courses. I want to become CA please suggest. Sir ….I am in class 12 th this year and I am very confused about which cource should I select after my 12 th…..